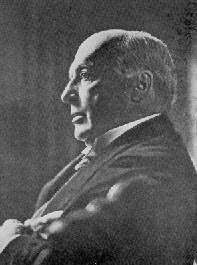 Henry James was born in New York City. In 1865, he began writing reviews and stories for American journals. 1875 found him settled in Paris, then London, where he was very popular in society. He became a British citizen in 1915. He was a highly prolific writer of novels, short stories, and letters. With almost 40 films based on his novels, recently, The Golden Bowl (2001) The American (1998) and The Wings of the Dove (1997), he heads the list of world-wide television and cinema credits together with Charles Dickens. "A large and generous production, pervaded with that vague hum, that indefinable echo, of the whole multitudinous life of man, which is the real sign of a great work of fiction." "Much less a book than a state of vision." "Monsieur de Maupassant has never before been so clever."